Volkswagen has released a new video for the production version of the Golf R Cabriolet ahead of its anticipated international launch in 2013. It looks identical to the concept model previewed 18 months ago at the 2011 Worthersee tuner show. 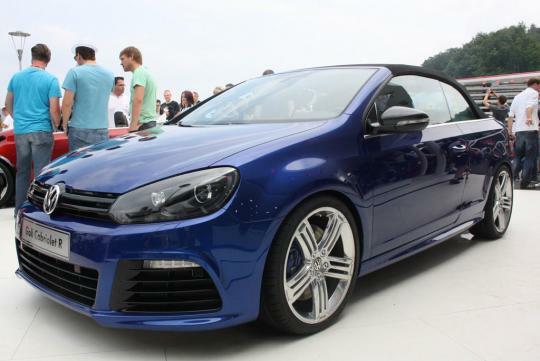 Although the MK 7 Golf has already been launched, the 2013 Golf R Cabriolet is actually based on the MK 6 Golf. Well, perhaps VW has a unique way of production scheduling. The Golf R Cabriolet is equipped with an aggressive body kit that comes with large front air intakes, black grille with R badge, smoked headlights, twin centrally-mounted exhaust pipes and 19-inch Talladega alloy wheels. Propelling the AWD open-top model is the responsibility of the 2.0-litre TSI turbocharged lump with 270bhp and 350Nm of torque. It goes from standstill to 100km/h in 6 seconds and is the fastest and most powerful open-top vehicle in Volkswagen history. Want a quick hairdo from a German 'hairdresser'? 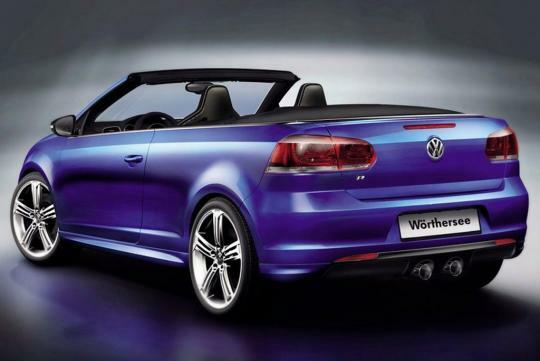 The Golf R Cabriolet could be your choice. I'm often disagreeable with this blogger. Aggressive bodykit?